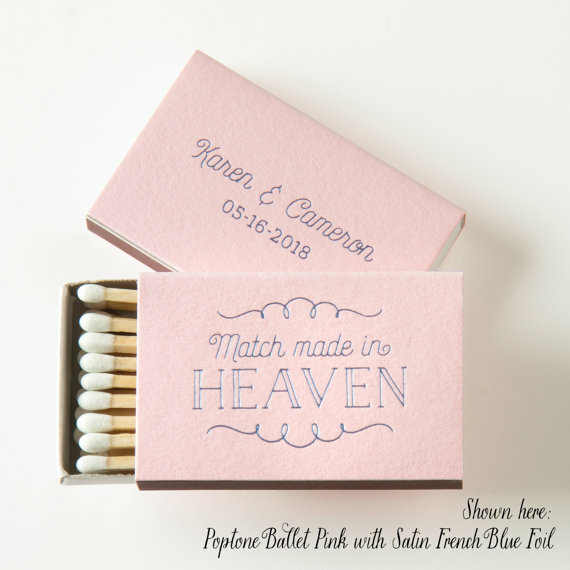 Looking for wedding matches? 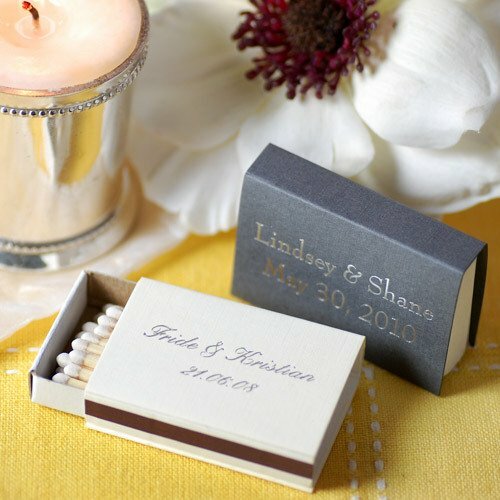 These personalized matchbox wedding favors are total crowd-pleasers and make amazing take-home favors for guests. 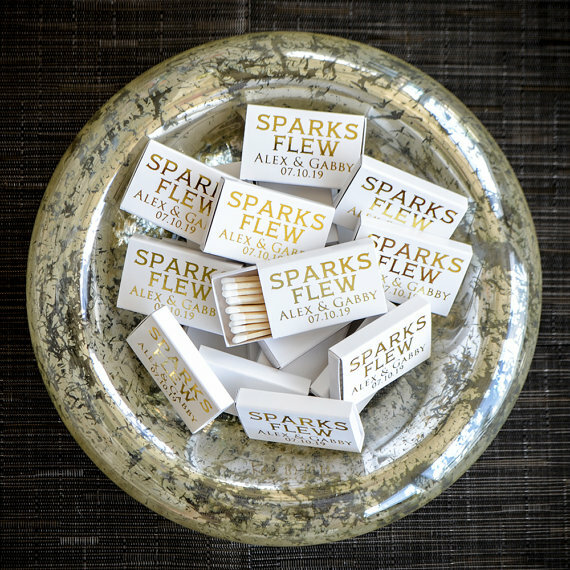 Place these matchbox favors at the bar or at table settings for guests to take home. 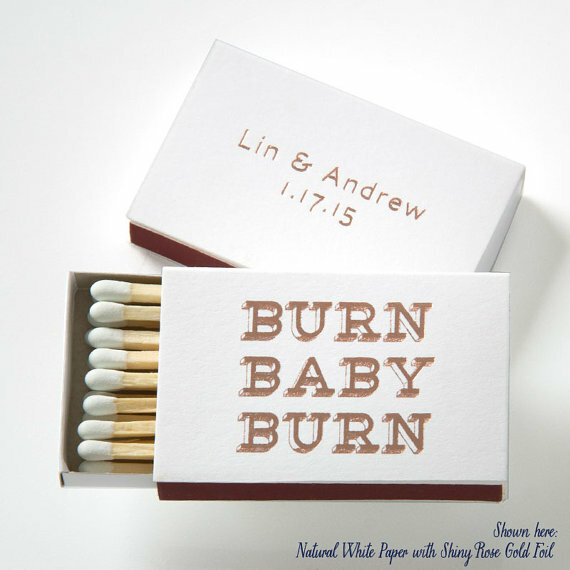 While we love a utility gift like that of a matchbook (who can’t use a fresh box of matches? ), we also adore the personalized quality and the price. 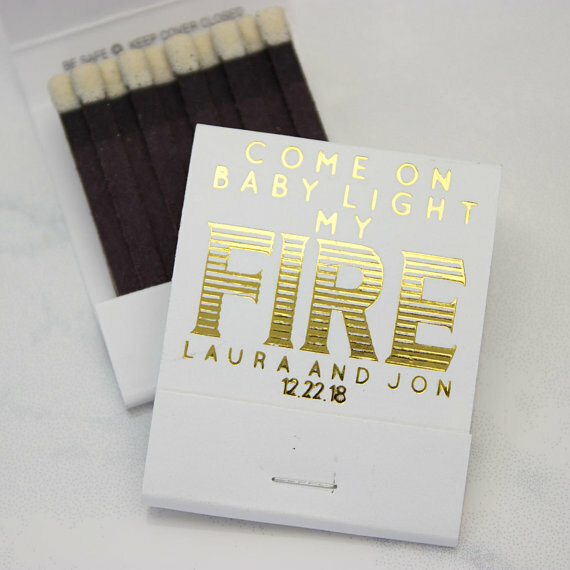 Personalized matchbox favors are cheap and customizable: you can get your matches with fun phrases (like “the perfect match”, “sparks flew” or even “let’s get lit”), a broad range of colors, and styles (from matchbook to matchbox designs). 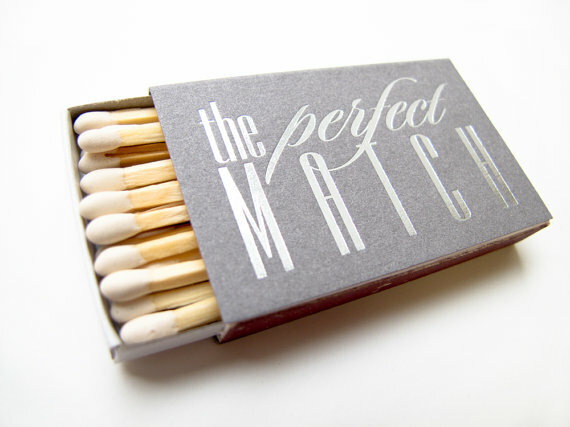 Check out our top picks below and tell us which matchbooks you like best! 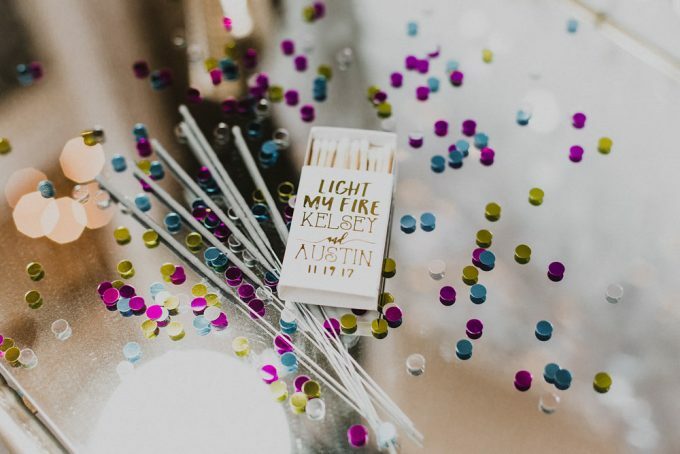 First, let’s talk about how much wedding matchbox favors cost. 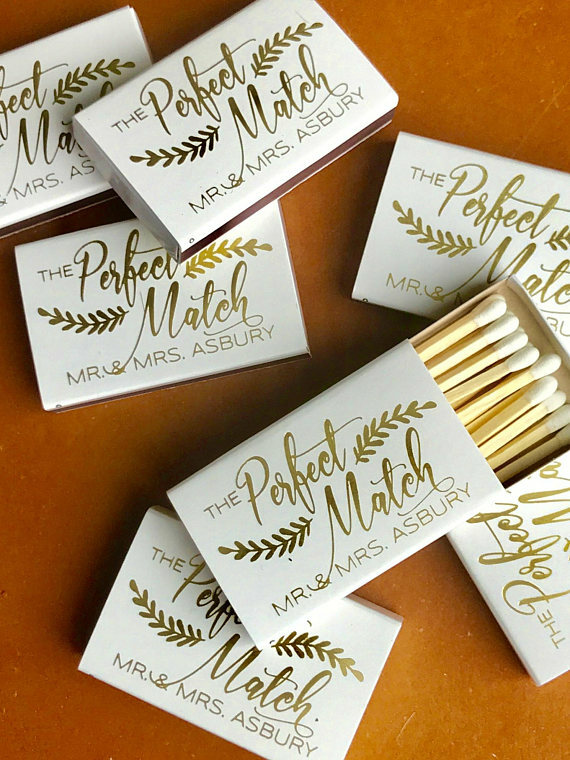 Typically, you can expect to save lots of money on matches: you can expect to spend about $1 each (like these) or upwards to $1.49. 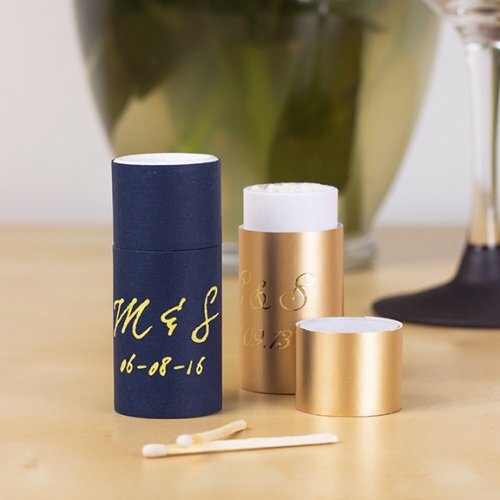 However, as with all wedding favors, order in bulk because the more you buy, the more you save. 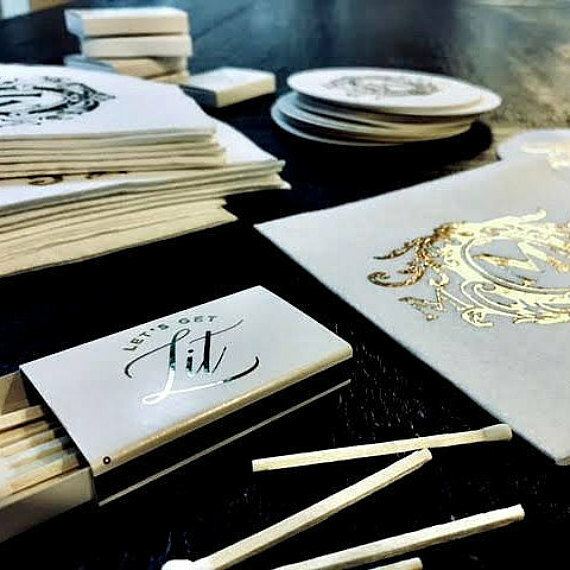 The matches shown below are all fantastically priced, particularly because they’re also customized and made just for you. Here’s our round-up! 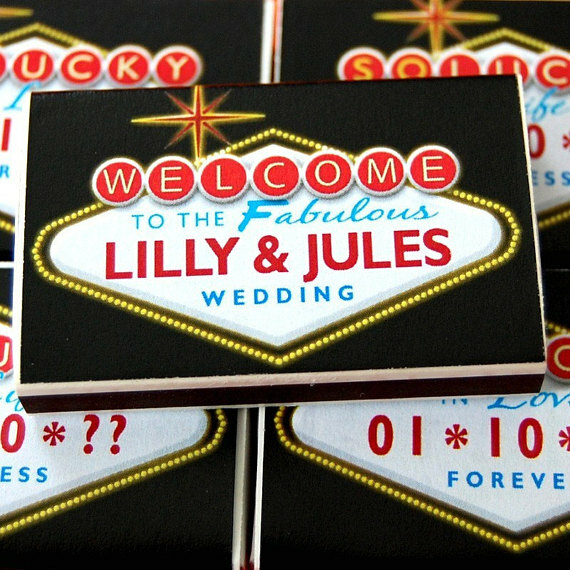 Up first, here’s a fun design we found for a Las Vegas wedding. 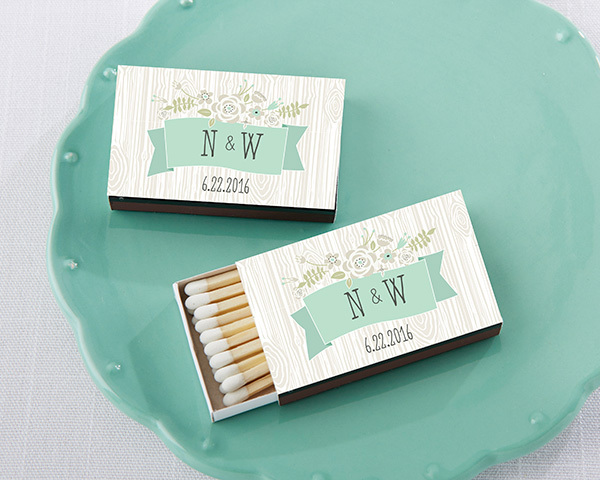 These botanical themed matches remind me of these greenery invites we shared a few days ago. By My Wedding Favors. 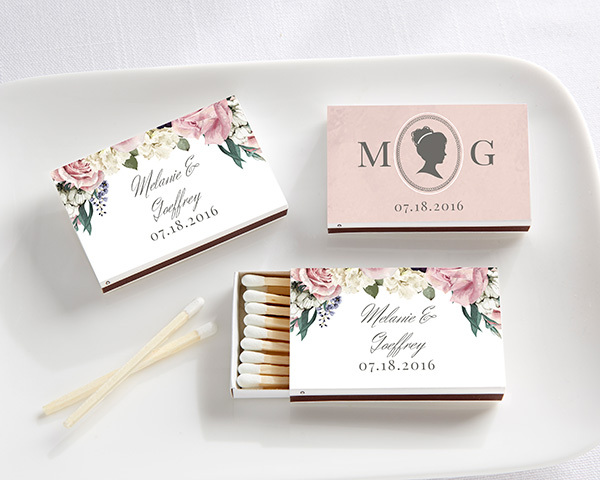 Love the silhouette and floral print on these wedding matchboxes. A faux bois print makes these look like rustic wood grain. Buy here. 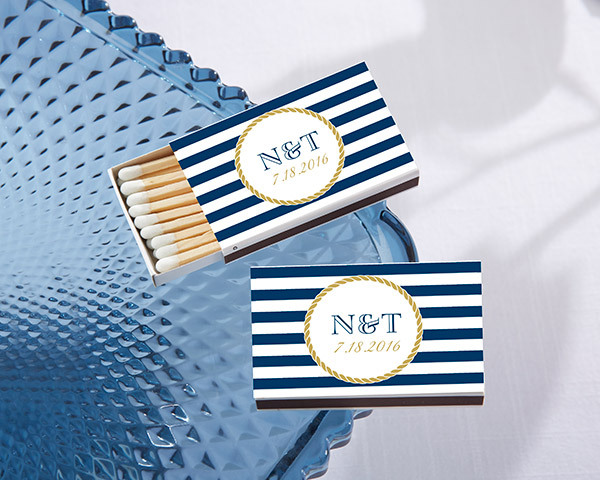 Great for your nautical wedding! Buy here. 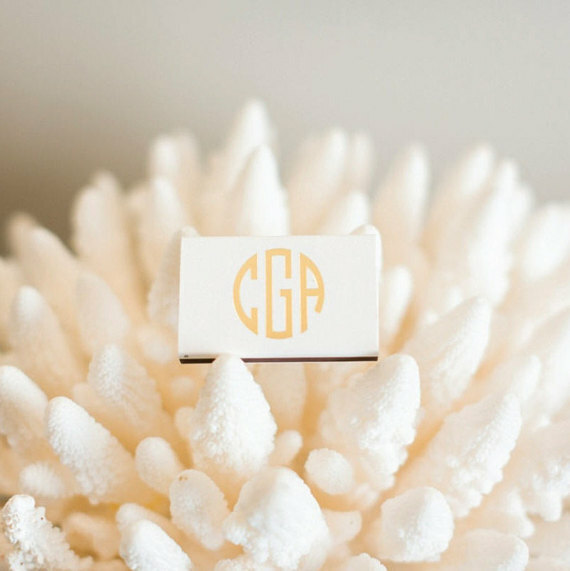 These matches are monogrammed for an extra-special personalized touch. Buy here. Love these! Buy Gracious Bridal. 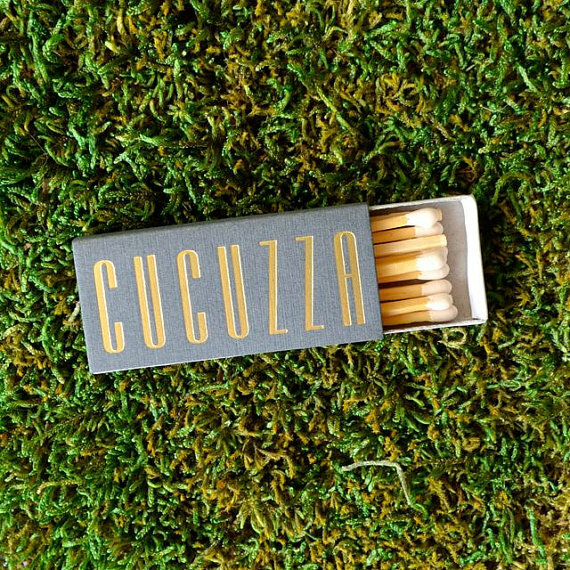 These matches come in a cool tube-like box for a modern look. Buy here. 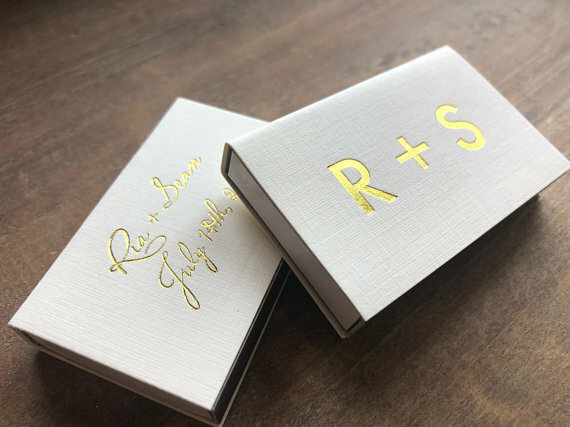 These matchbooks are personalized with your names in a gold foil design. Buy here. 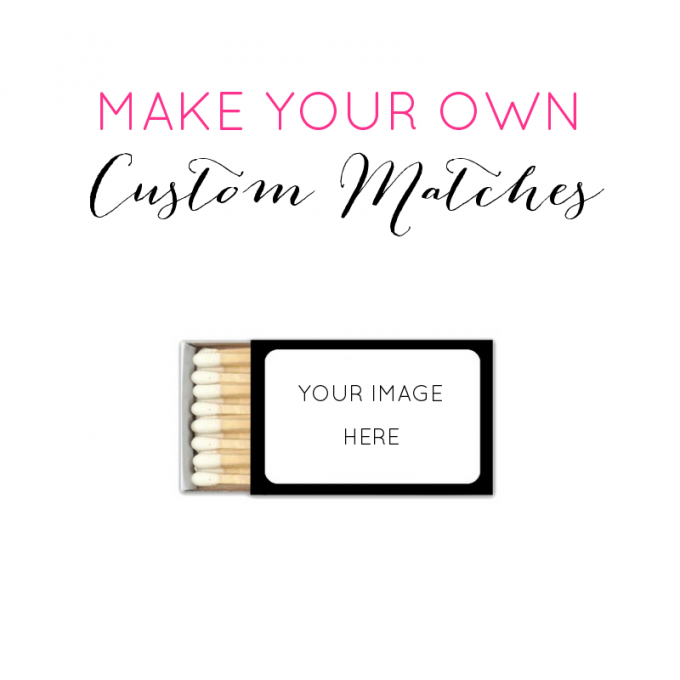 You can make your own custom matchboxes here (cheap!) Just upload an image and BOOM. Matches done! 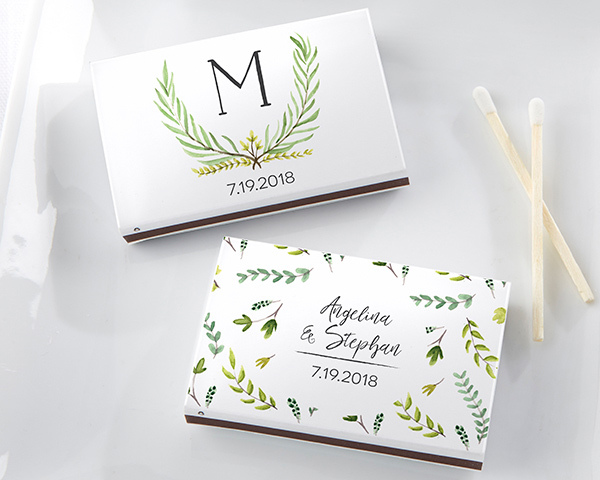 What do you think of these wedding matches? 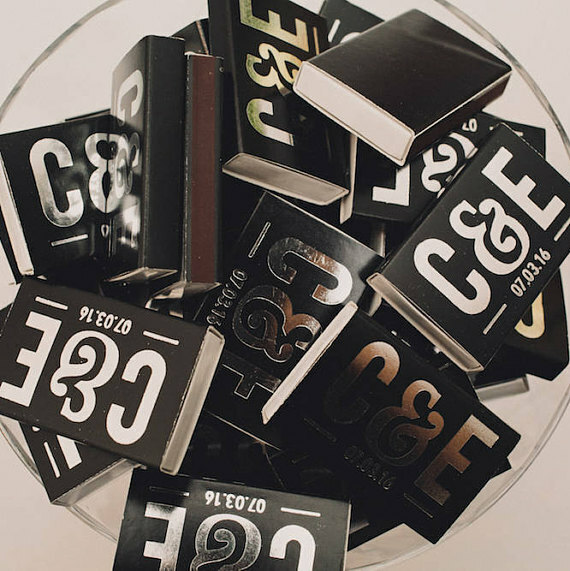 Which matchboxes are your favorite? Tell us in the comment box below! P.S. 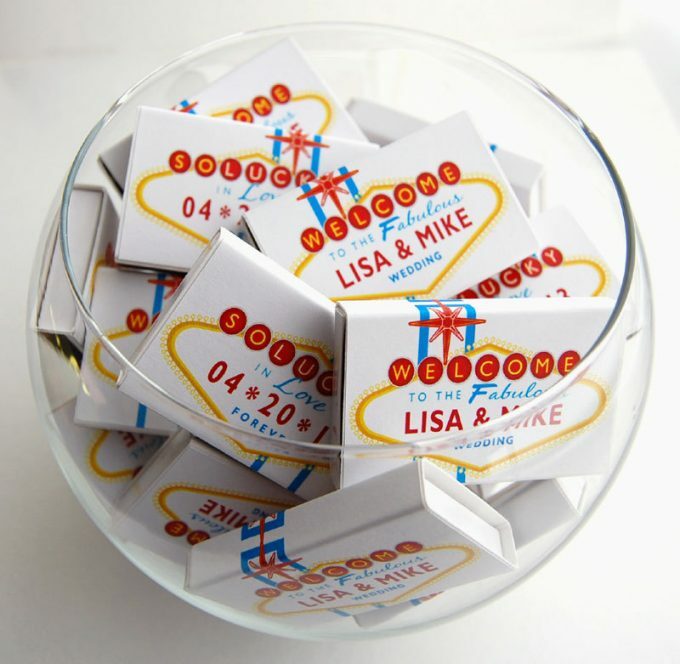 For more wedding favor inspiration, read: 100 Cheap Wedding Favors.